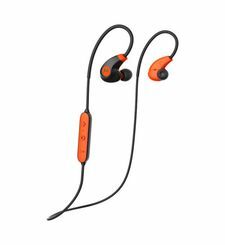 Wireless ultra-light sports Nushh Go earphones can be paired in a few seconds with your smartphone, tablet, or music player, and lets your favorite music and podcasts drive you forward. 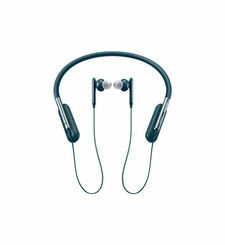 Coming with interchangeable ear buds, the headset will stay comfortable on your ears even when you are moving around. 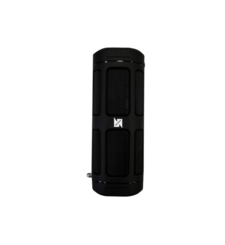 Nushh Go design expands your world of music for outdoor and sports activities, while ensuring usage for home audio, gaming and indoor activities. Music has no language, but it does have a voice. Top-notch drivers and ultimate Bluetooth connectivity of Nushh Go works together to create a memorable listening experience. These earphones will survive the sweat and grime of an active lifestyle to ensure the focus on your workout without sacrificing on your music. Music deserves to be heard disturbance free. 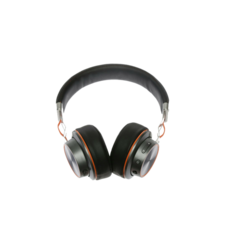 Comfortable & noise-isolating sleeves makes you enjoy a clear sound in noisy environment. Get longer playtimes and play your favorite music continuously for upto 5 hours without having to pause and charge. 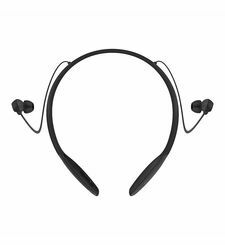 Enjoy your music without having to worry about heavy earphones tugging on your ears as you work out, play sport, or just go about your everyday activities. Ear buds design keep headsets in ear for vigorous sports like basketball, jogging, football, running, etc. That’s why Nushh Go has wing tips and buds available in 3 different sizes to fit every ear size and ensure a comfortable fit. Listen to music on your personal phone, then switch seamlessly and easily to your business phone to place a call through the same earphones. Manage your calls with the in-built mic enabled with crystal clear HD audio, and make yourself heard loud and clear! Nushh Move’s multi-function button can also be used for accessing the Siri, Google Now or S Voice feature on your phone. Simply press a button, and let your phone answer you through your amazing earphones! 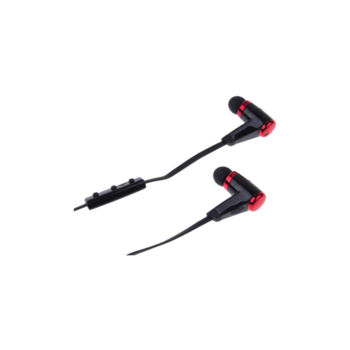 HIGH QUALITY SOUND BLUETOOTH EARPHONES Wireless ultra-light sports Nushh Go earphones can be paired in a few seconds with your smartphone, tablet, or music player, and lets your favorite music and podcasts drive you forward. Coming with interchangeable ear buds, the headset will stay comfortable on your ears even when you are moving around. Nushh Go design expands your world of music for outdoor and sports activities, while ensuring usage for home audio, gaming and indoor activities. PREMIUM SOUND Music has no language, but it does have a voice. Top-notch drivers and ultimate Bluetooth connectivity of Nushh Go works together to create a memorable listening experience. SWEATPROOF These earphones will survive the sweat and grime of an active lifestyle to ensure the focus on your workout without sacrificing on your music. NOISE ISOLATION Music deserves to be heard disturbance free. Comfortable & noise-isolating sleeves makes you enjoy a clear sound in noisy environment. 5 HOURS CONTINUOUS PLAYTIME Get longer playtimes and play your favorite music continuously for upto 5 hours without having to pause and charge. FEATHERLIGHT Enjoy your music without having to worry about heavy earphones tugging on your ears as you work out, play sport, or just go about your everyday activities. 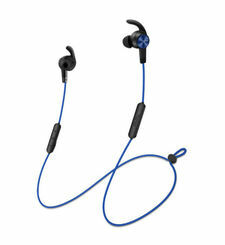 SECURE FIT Ear buds design keep headsets in ear for vigorous sports like basketball, jogging, football, running, etc. That’s why Nushh Go has wing tips and buds available in 3 different sizes to fit every ear size and ensure a comfortable fit. CONNECT TWO MOBILE PHONES SIMULTANEOUSLY Listen to music on your personal phone, then switch seamlessly and easily to your business phone to place a call through the same earphones. IN-BUILT MICROPHONE Manage your calls with the in-built mic enabled with crystal clear HD audio, and make yourself heard loud and clear! ONE TOUCH SIRI/ S VOICE/ GOOGLE NOW Nushh Move’s multi-function button can also be used for accessing the Siri, Google Now or S Voice feature on your phone. Simply press a button, and let your phone answer you through your amazing earphones!